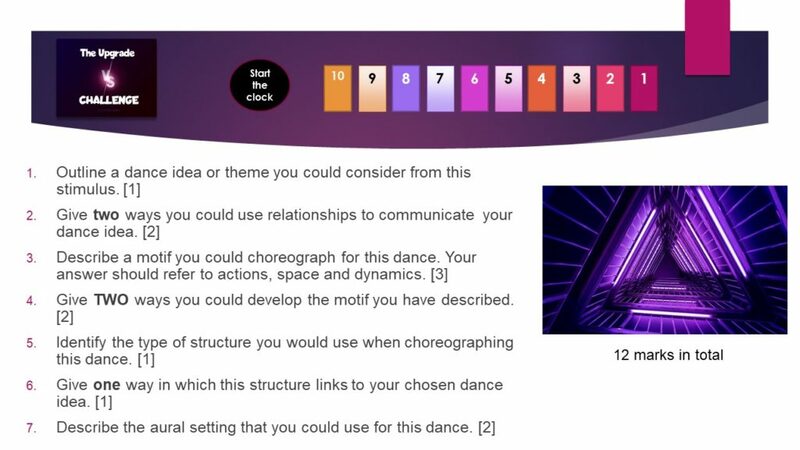 Subject Leader for Dance. St Wilfrid’s Catholic School. 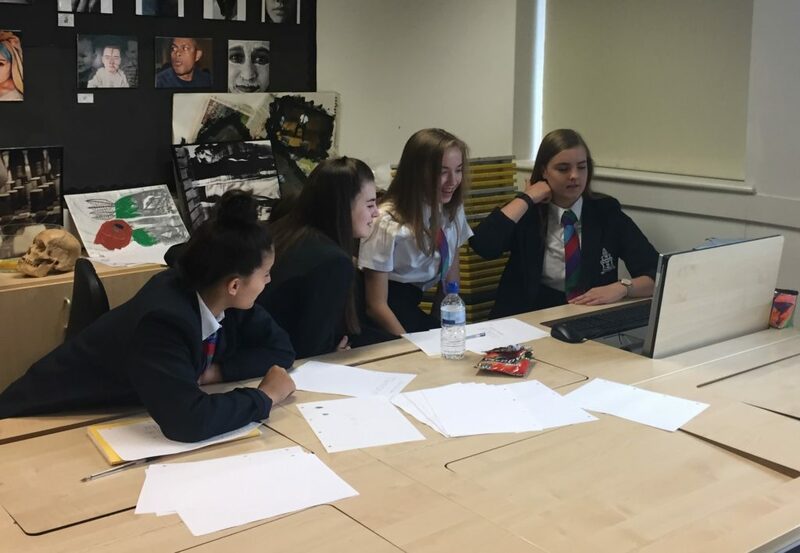 Students can now take part in the Upgrade Challenge – online workshops designed to transition up to Year 11, consolidate learning and introduce new Anthology works. 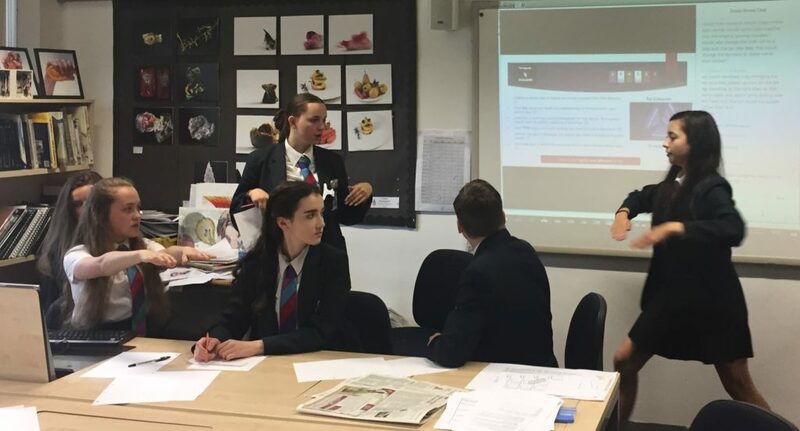 The workshops focus on answering questions and the expectations of the written paper in a fun team based game format. Learning content is also a focus as we take students through process before throwing them into competition with each other. 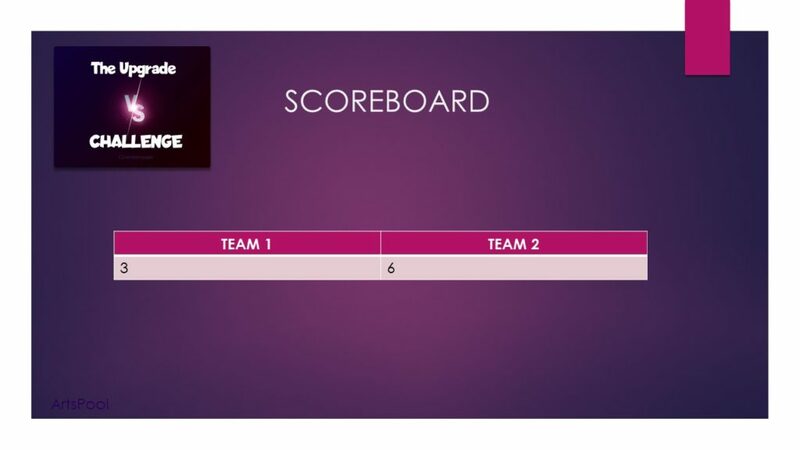 Team-based – we even have a scoreboard! It is designed to fit a double lesson. No need to take the students off timetable. The session runs for 1 hour 15 mins. 1.5 hours is needed to ensure set up is in place beforehand. Getting quick at the hypothetical choreography. Content of features of production in one Anthology work. 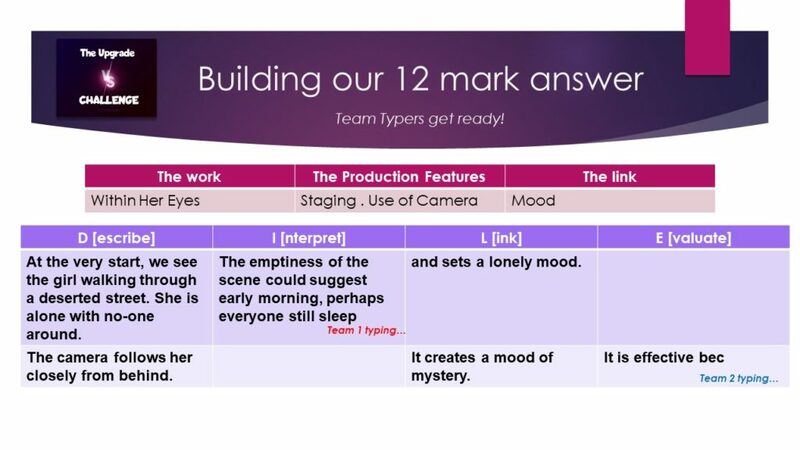 Building a 12 mark production feature answer. Yes. We give you the link to download free software so that you can join the workshop online. This will need to be downloaded in advance of the workshop. The online software we use is GDPR compliant and we can provide details for your IT techs if needed. How much is the challenge?